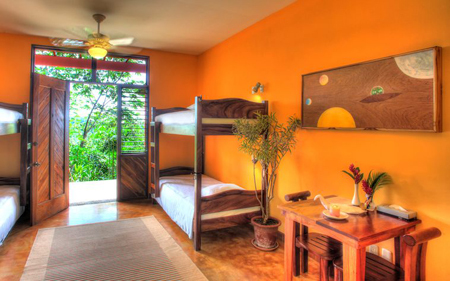 Costa Rica Yoga Spa will arrange all the things you need for changing the total life style. It offers yoga session including Yoga teacher training and all the things starts with a balance of body, mind and soul. It will make your path to renewal and rediscovery to find an abundance of ways so that you can find out the real meaning of life, the total happiness and satisfaction. The days you will spend in Costa Rica Yoga Spa,will make your view towards life and you will start loving your self and try to make your life perfect. From the Liberia International Airport exit you will have to take a right on to the main highway and then drive an hour on the same direction. While driving you will pass through the towns of Belen, Filedelfia and Santa Cruz. You will find the signs for Nicoya after passing Santa Cruz. Then turn to the right. After arriving Nicoya, continue driving straight down the main road right through the center of town.Stay on the same way for nearly 30 kilometers. Look carefully to the signs so that you can follow the right direction. You will pass Playa Garza, Playa Guiones one by one and once you will reach the Costa Rica Yoga Spa you will find that Nestled between the magical waters of the Rio Montaña and Rio Nosara and awe-inspiring Refugio National Silvestre Vida Ostional National Park, Costa Rica Yoga Spa enjoys the breathtaking beauty of Costa Rica’s Gold Coast of Guanacaste. There you will be able to explore and experience the endless possibilities that await you when your awakenend senses and nature are united in harmony. On the mountain of a private ranch in Nosara, Gunacaste, on the Gold Coast of Costa Rica, Costa Rica Yoga Spa is located. This retreat center looks out on both the Pacific Ocean and Ostional Natonal Wildlife Park. There you will explore a wide variety of birds and Olive Ridley turtles. Yoga Rancho is built especially for arranging Yoga events. It can accommodates 30 yoga students and more for other events. This is the perfect place for practicing or teaching dance, yoga, play or listen to music. 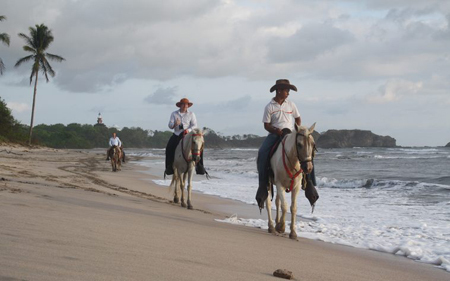 Yoga Rancho provides beautiful and unmatched panoramic views of the ocean, river basin and nature preserve. You will feel practicing Yoga in Costa Rica Yoga Spa’s magical pavilion is a life-altering and transformational experience. From the lush jungle ranch and organic gardens, Costa Rica Yoga Spa’s full time gardeners gather fresh fruits, vegetables and herbs daily and seasonally. Iboga is the most powerful healing substance known to mankind. Costa Rica Yoga Spa offers seven day Iboga Retreat by attending this program you will be able to have an extremely deep, personal, one-on-one healing journey. This seven day Iboga program also involves two therapuetic massages, two colonics, endless Iboga Yoga sessions, juicing, counseling, breathwork and everything and anything on our activity menu which is extensive. If you attend Surf and Yoga Immersion you will indulge in a variety of activities centered around surfing and yoga and will also have plenty of time to decompress and relax while in the midst of a lush, tropical setting overlooking the Pacific Ocean. While staying at Costa Rica Yoga Spa you will be able to enjoy a series of activities such as Horse back tour, kayaking, Magical Mystery Tour, Canopy Tour, Surf trip, Fishing, Salsa lessons and more. You can choose a private suite or a shared room and enjoy great value in excellent accommodations and if you consider the rate of accommodations will also include three healthy and delicious meals per day, a beach trip and daily housekeeping services. Right next to the Yoga Rancho, Jungle Lodges is built which is very comfortable and can be accommodated with 26 guests. Upstairs, Privates suites offers spacious covered patio balconies with spectacular views of the Pacific Ocean. This private suit is perfect place to sip your fresh morning coffee and greet the day.On the lower level the comfortable shared accommodations have two bunk beds each. There are also a separate desk and sitting area and separate closets for each guest. These rooms will let you to watch the great ocean and sunset view from the verandas. You will find the shared bathroom modern enough. The Jungle Lodge Complex also include Wi-Fi,laundry service, maid service and other amenities you need for comfort and full enjoyment.